As much as visiting the lavender fields of Provence is the ultimate #FieldGoals (is that a thing? Let’s make it a thing), not all of us have the time or the money to whisk down to the south of France right this moment. Thankfully there’s a fair few farms around England waiting to satisfy our desire for a sea of purple, whether you’re wanting to get some shots for the Insta or just get a taste of the English countryside. Sophie (from Luggage Tags and Ticket Stubs) and I have made it our new annual tradition to visit a new one every year. It’s a bit of a work in progress as this is just our second year of this ‘annual tradition’, but it definitely helps to set goals, right? I’ll definitely be working off of this list though, so please do let me know if I’ve missed out anywhere good! Lavender flowering season is from mid June until the end of August, so you’ll need to be quick if you’re planning a trip this year. Otherwise, bookmark (or Pin) this page for next year so that you don’t forget! 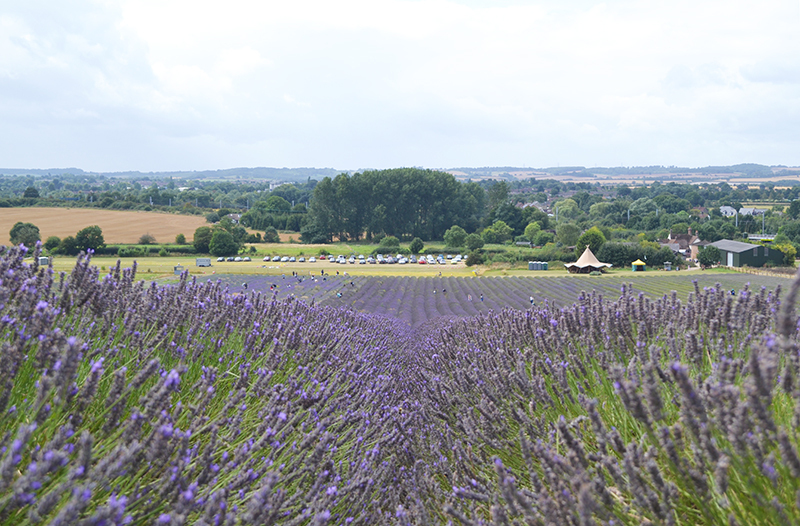 Last year was our first time at a lavender field, and we decided to head out to Hertfordshire to try Hitchin out for size. It’s super easy to get to from London, and it’s incredibly peaceful once you get there. There’s a cafe on-site where I had the most *incredible* brie sandwich, and rows and rows of lavender where it was easy to find a quiet corner to take pictures. The £5 entrance fee may seem a bit on the steeper side, but that includes the chance to fill up a huge brown bag with lavender which you cut yourself. Therefore, if you’re intending to get some fresh lavender while at a farm, this probably works out a little cheaper! 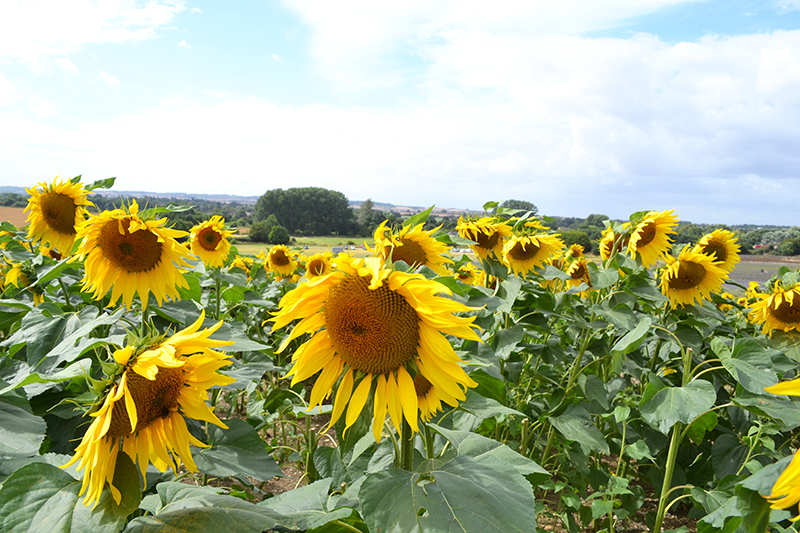 Plus, as an added little bonus, Hitchin even has a sunflower field next door too. For somewhere that sits so close to London (just 15 miles from central! ), Mayfield takes a surprisingly long time to get to on the train – make sure to get the quick 30-minute train to Sutton, and not the 50-minute++ one! However, from there it’s a cinch, with the cab ride from the station costing us around £12 each way. The 25-acre farm benefits from some pretty photo props, including a red phone box and an Airstream caravan. Full marks to the team for going all-out with the theme by infusing everything – from the cakes to the teas – with lavender. Delish. Down in Kent (aka The Garden of England), there’s The Hop Shop. This working farm does things a little differently, in that access to the lavender field is by group tour only. I’ve yet to visit, but by the sounds of it this would be perfect for those people-free shots. Plus, the 1 hr 15-min tour actually sounds pretty decent, with an expert covering all the processes of lavender production. (Believe me, there’s only so many lavender fields you can see before your mind starts asking all these questions). By far the big USP of The Hop Shop, though, is the fact it does AROMATHERAPY MASSAGES in the middle of the lavender field! Because, tbh, if you don’t find peak relaxation while surrounded by the aroma of lavender, where are you going to? Long Barn has been growing and distilling lavender for over a decade, so it’s the perfect spot for picking up a few gifts if you’re over this way. Their oak barn is set in 2 acres of lavender fields; while it’s a lot smaller than other fields on this list, you have access to a plant nursery as well as a cafe. They’ve also got a shop with lots of decently priced products in, like jelly, toiletries and cake. Cake is always a good shout. How to get there: You’re probably best off getting here by car, as it’s a little out of the way. The nearest large train stations are in Stafford, Shrewsbury and Telford, but they’re around 20-40 minutes away. During the lavender season, you can stroll around Shropshire Lavender every Friday, Saturday and Sunday. Their lavender gardens have over 40 different varieties of lavender (who else totally didn’t know that was a thing? ), plus as a nice little bonus their wild garden is a quiet haven for a bunch of wildlife. A tea shop is on site as well, which is always welcome. Who said lavender was only for those down south? North of York you’ll find Yorkshire Lavender, a 60-acre farm which is about more than just the lavender. 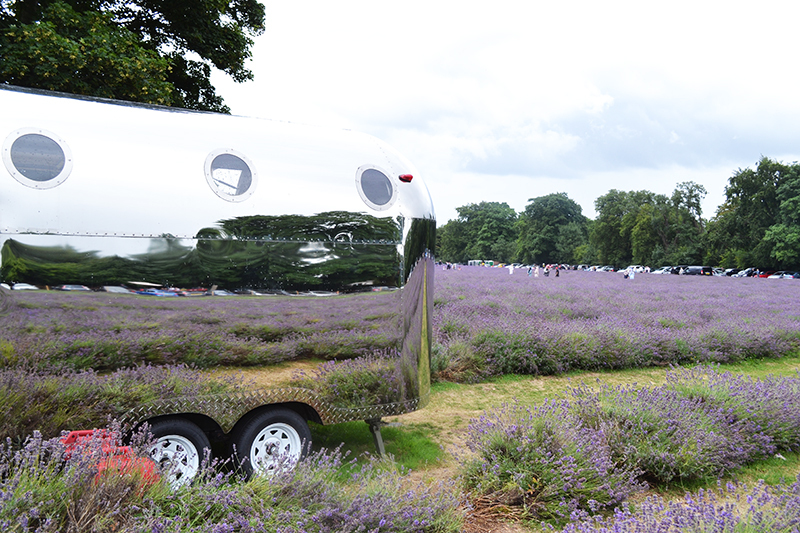 There’s a lavender maze, themed gardens, a sculpture park, deer…and a tea shop. Oh, and it’s all set within the Howardian Hills Area of Outstanding Natural Beauty, so it’s extra beautiful. Not too far from Yorkshire Lavender is Wolds Way Lavender, which features a range of things to do on its 12-acre site – like wild flower meadows, a giant games maze and a giant bee hive. There’s also a miniature railway which runs tours for £2 per person and which sounds like the most fun ever. And yep, there’s a tea shop. Don’t worry. Inglenook Farm grows both organic lavender and chamomile, and welcomes photographers ‘at no more charge than to see and share the spectacular images’. Try and coincide your visit with the monthly craft and farmers market which features stalls selling locally made items and food. In the heart of the Hampshire countryside there’s Lavender Fields which, while only open for a few days each summer, has an adorable shop on site. Group visits and tours are still available though, so it’s worth getting in touch if you fancy a day out. Plus, if you *really* fancy a cool photo shoot with a difference, you can hire a one-hour commercial pass for £50. Lordington Lavender in the South Downs National Park is a field after my own heart – they take order very seriously, and this year only opened the field to the public for 7 days. And even then, entry was only in small groups which had to be booked in advance, so that the calmness of the field was maintained for everyone. If you’re lucky enough to get tickets next year, local charity teams will be on hand to provide tea and cakes, with proceeds going to chosen charities. 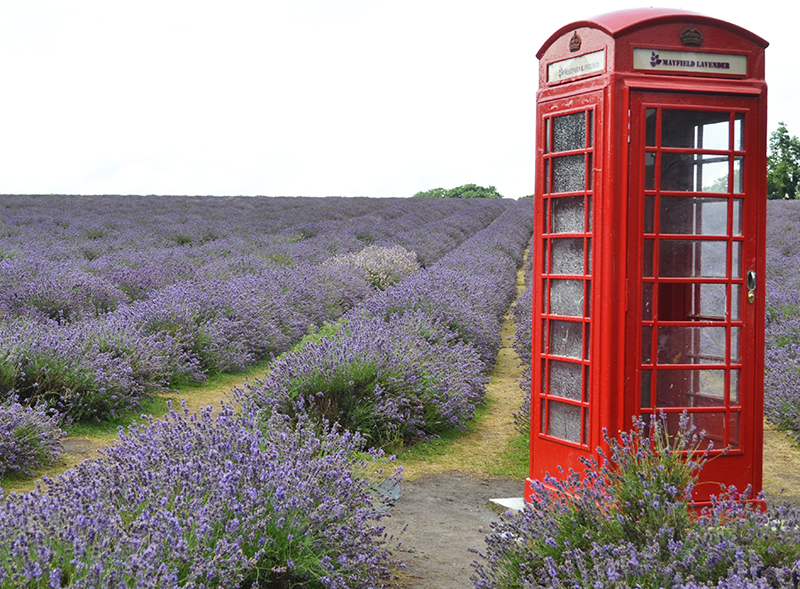 Where’s your favourite lavender farm in England? Have I missed any off this list? Let me know in the comments below and I’ll update this post! I missed the Lavender picnic dates – and Kent is so close to me too, boooo! Definitely going to remember that one next time! What a great round up – who needs Peovence right when we have so many fields here?! I’m so close to Hitchin so defintetely going to pop over when I get back from holiday (currently writing this in Spain). Can’t believe I’ve lived so close to such a lovely place for the last 5 years and not noticed! 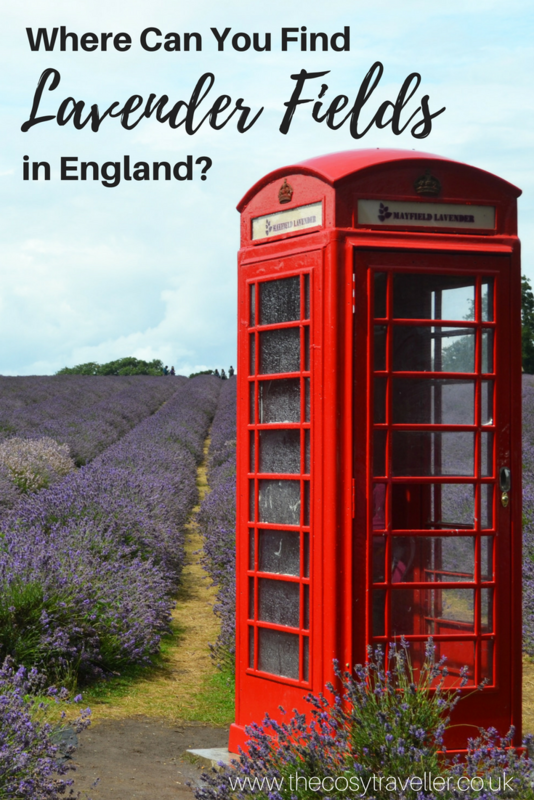 I never realised how much lavender there is in the UK! We went to Mayfield last weekend as it’s only about 25 minute drive from us. Definitely going to be a new place to visit in the summer – so beautiful!